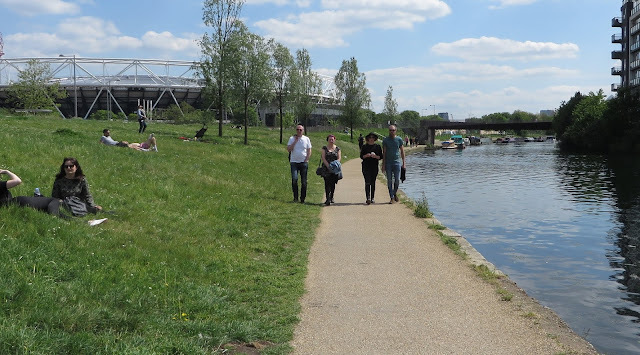 What a delight it was on the first date that West Ham played at home to finally be able to cycle on the stadium island for the first time since I'd last been here back when it was the Marshgate Lane Industrial Estate ten years earlier. 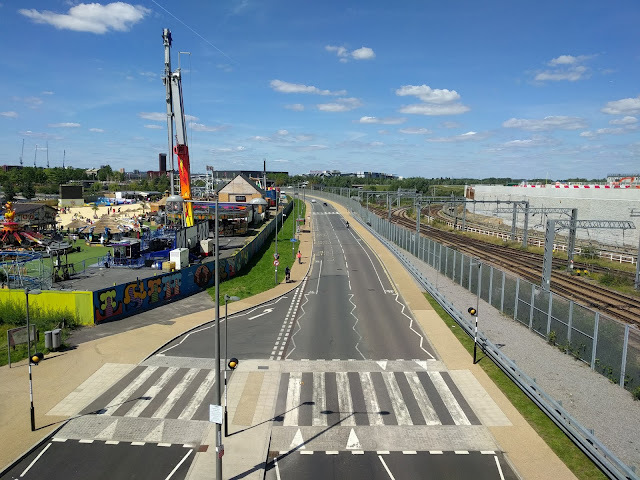 During the anniversary games this summer temporary fences were erected on all bridges leading onto Stadium Island and these remain in place at all times as they have concluded it is quicker to search members of the public before they get onto the island, rather than before they get into the stadium. 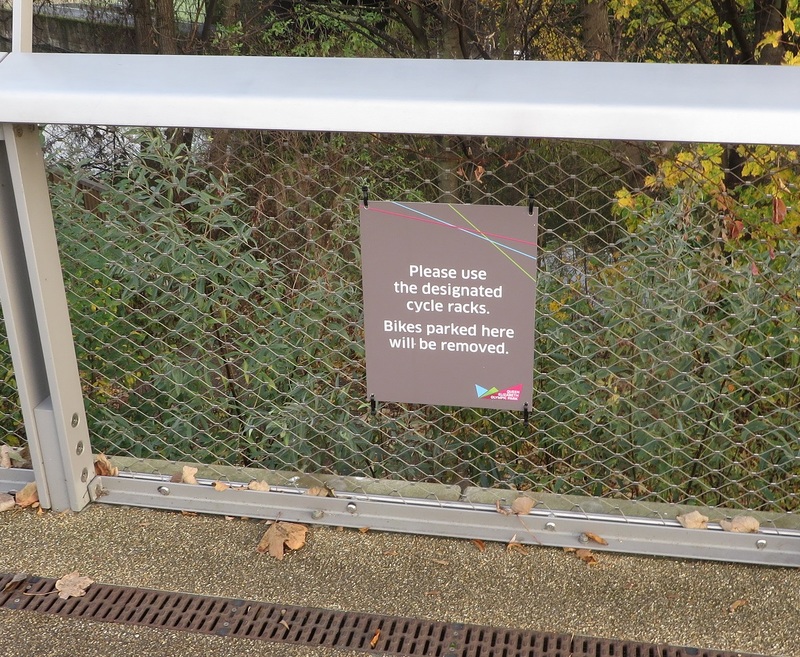 You can still cycle through these barriers on non-match days to use the stadium island as a more direct route but probably cannot on match days. I just hope they don't decide to construct permanent barriers on the stadium bridges that restrict people cycling from using it. By the time I got back round to it after circumventing the stadium it was completely over used with 3-4 bikes using every stand and others locked up to the fence alongside. The usual ignorant attitude from the LLDC. 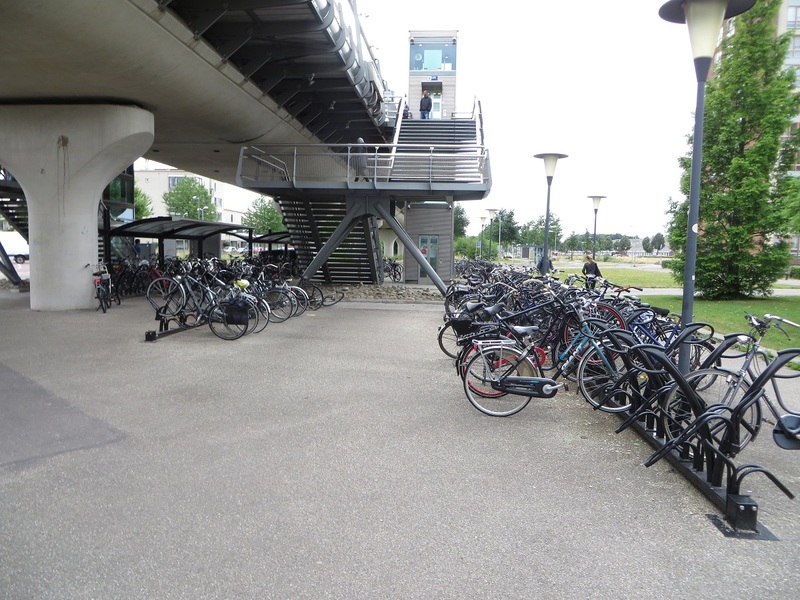 I have never seen a single bike use this facility at any other time apart from when there is an event on in the stadium when it is always full.Why on earth would you park your bike here at any other time? There is nothing here! 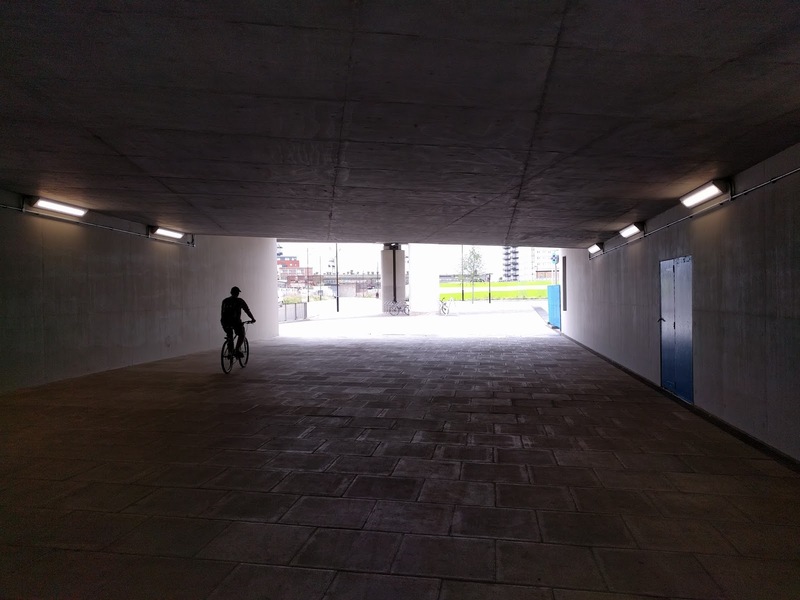 There is acres of space for the cycle parking to be increased to provide cycle parking for those who choose to cycle to events at the stadium. The cycle parking on the South side of the stadium, alongside the loop road is also well used, as it is located right alongside the Greenway, which provides a traffic free route all the way from West Ham and beyond. 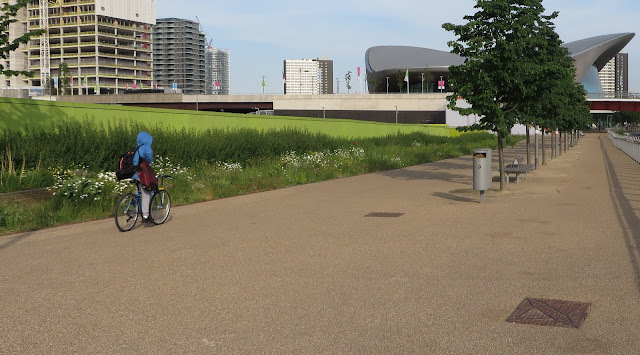 Here is the cycle parking during a match next to the South Lawn, south of the ArcelorMittal Orbit, quite a distance from the stadium, or indeed anything of interest at all. 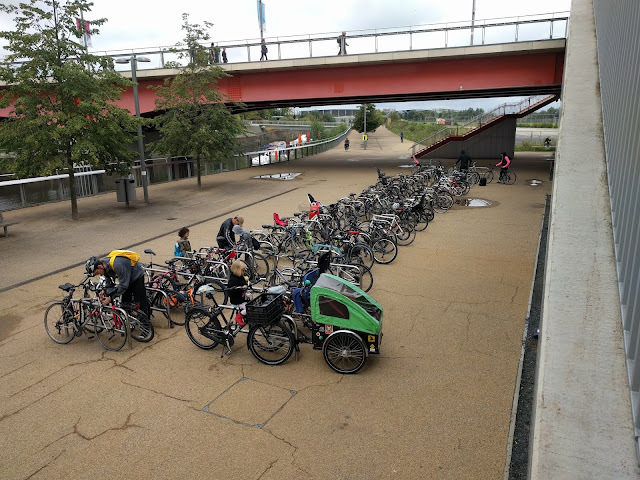 Ideally this cycle parking should be relocated closer to the stadium, ideally where it is over subscribed on the other side! 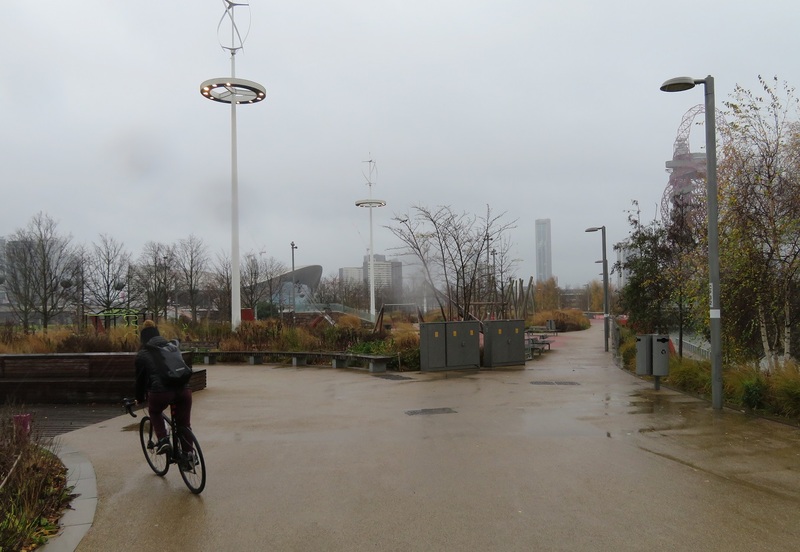 Meanwhile if you decide to cycle here using Transport for Londons cycle hire scheme then that is not possible as it is suspended for every game as there are not enough docking spaces to meet demand. 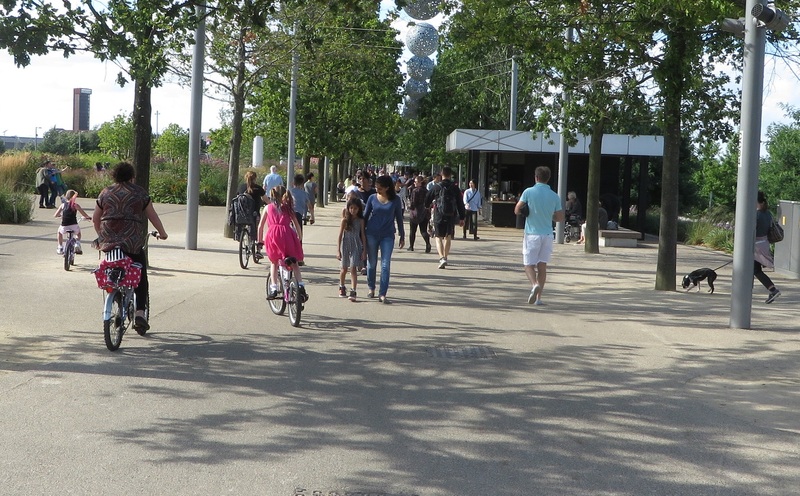 From 1330 – 1900 on Sunday 21st August all docking stations in @noordinarypark will be locked due to a major event in the stadium. The queues to exit Fish Island at the end of every game are ridiculous, yet the LLDC and Sadiq Khan want to build even more through roads for cars here! 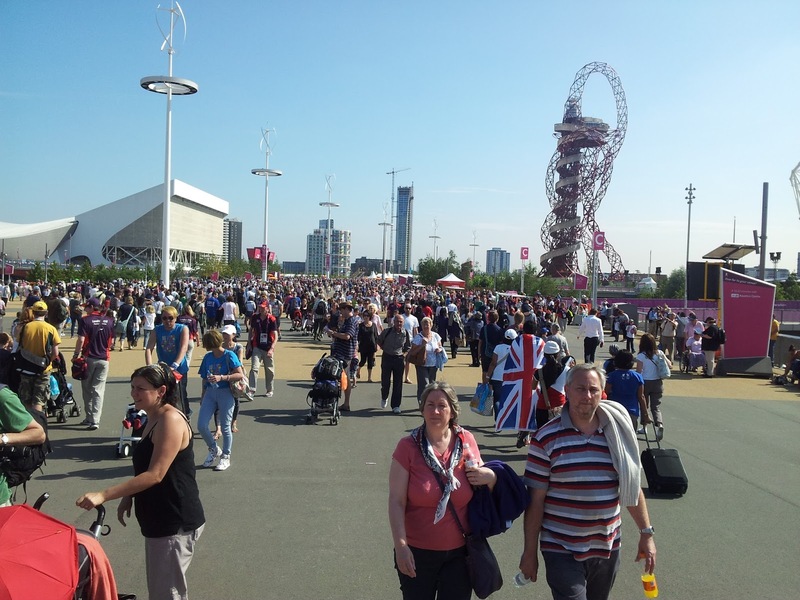 I also see crowds of people in West Ham tops walking back through the residential streets of Hackney, as parking for the games spreads out far from the stadium into neighbouring boroughs. 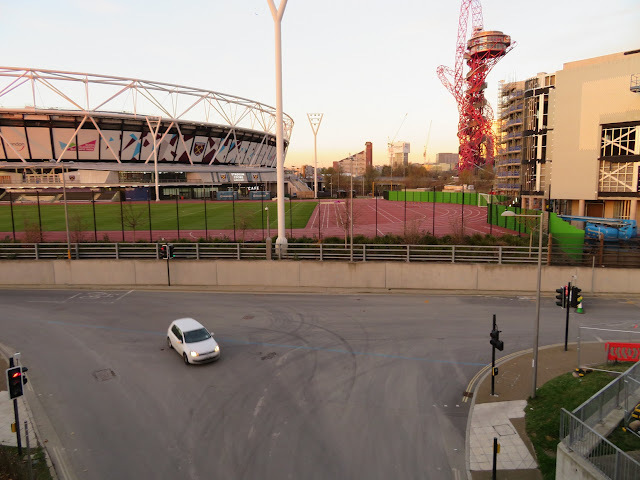 "Deal of the Century" was how West Hams move to the Olympic stadium was described, as the club pay £2.5m per year in rent (for contrast their yearly wage bill to players per year is £95m). 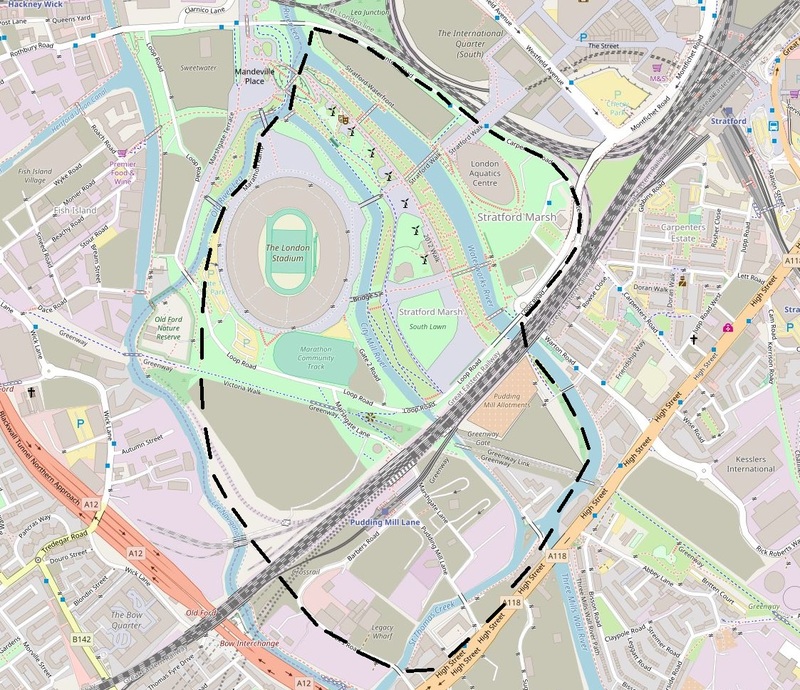 London taxpayers footed the bill both to build and then to convert the stadium and continue to pay £20m per year (or £55,000 per day) to subsidise the losses the stadium makes. There has been all kinds of allegations of corruption with regards to this deal but clearly something has gone badly wrong and I predict this is not the last we'll hear of it. 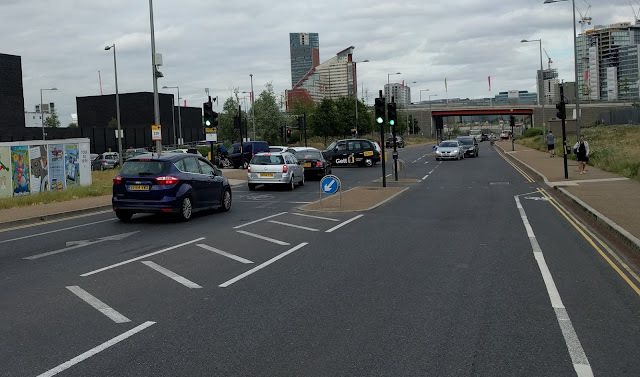 Why such a huge space for a simple T junction with single carriageway roads on all approaches? 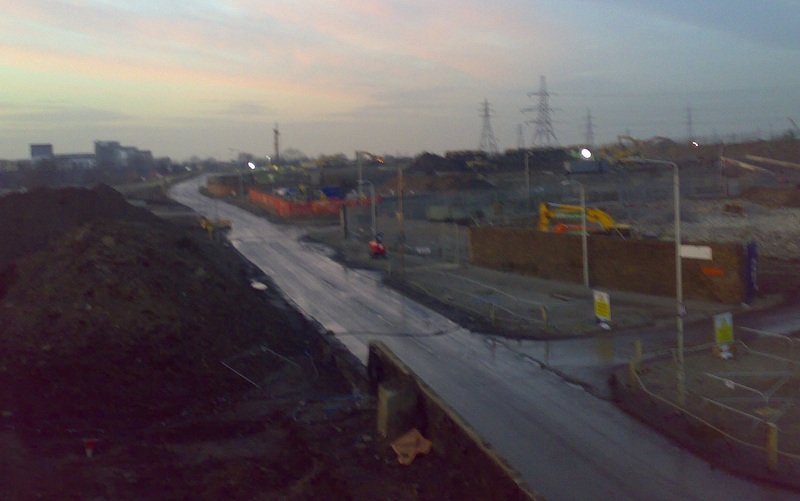 Pudding Mill in 2010, at the height of Olympic Park construction works. 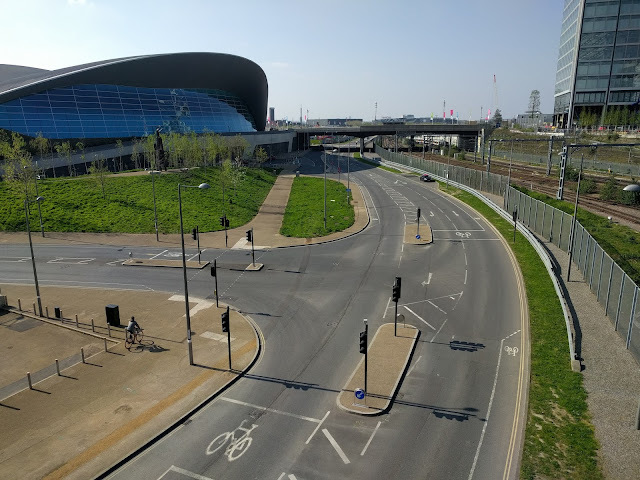 This is one of the main entrances to the park for construction vehicles and Olympic Park admin offices are also based here. Marshgate Lane has been removed entirely, save for a small section at Pudding Mill Lane. 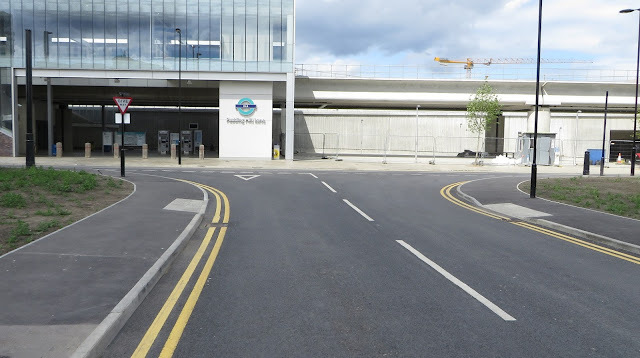 Pudding Mill Lane remains open but is a dead end at Pudding Mill Lane DLR station. 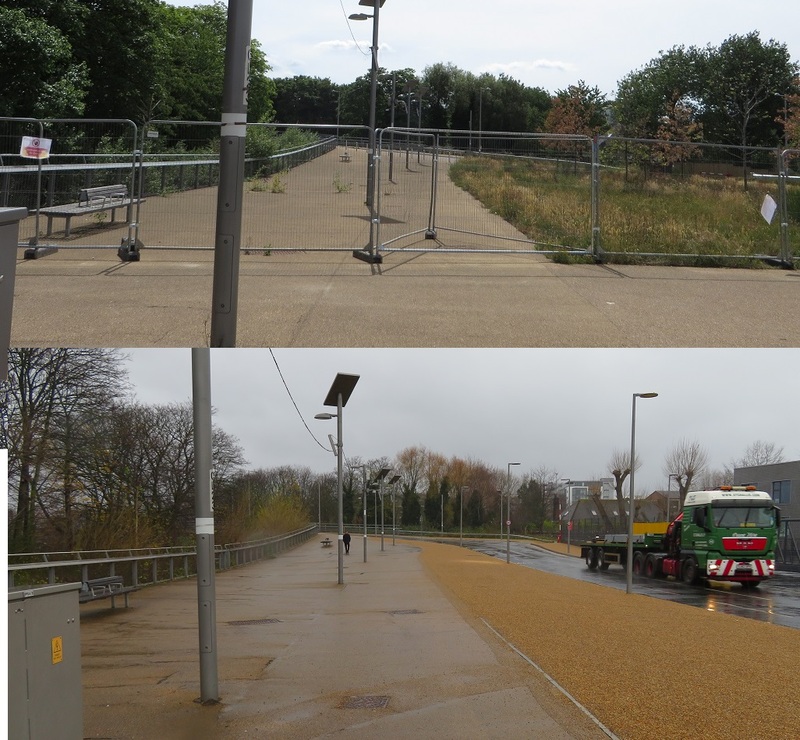 Barbers Road is still there but all the businesses gone and Pudding Mill Lane station remains open with a footpath leading to the Greenway. It is now a busy station used by many construction workers. Pudding Mill in 2012, during the Olympics. It is now one of the routes for vehicles into the park and the various tents are where the Army search vehicles before they enter the park. 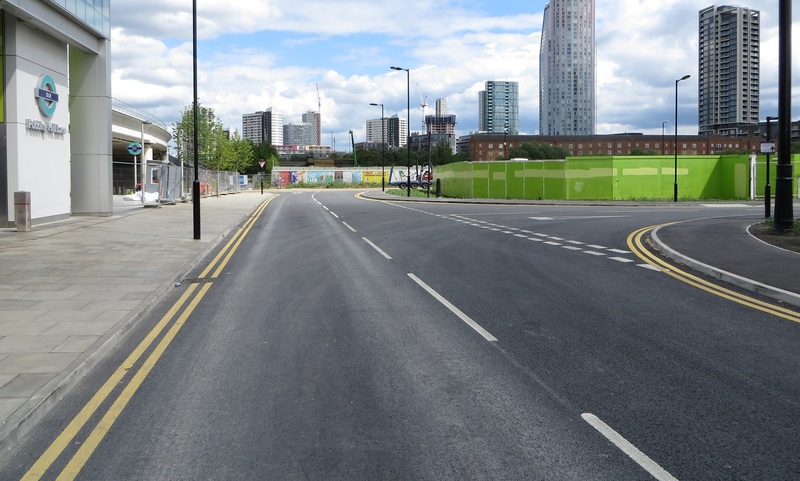 The top end of Marshgate Lane has returned, as has Pudding Mill Lane, both routes into and out of the park via a one way system. 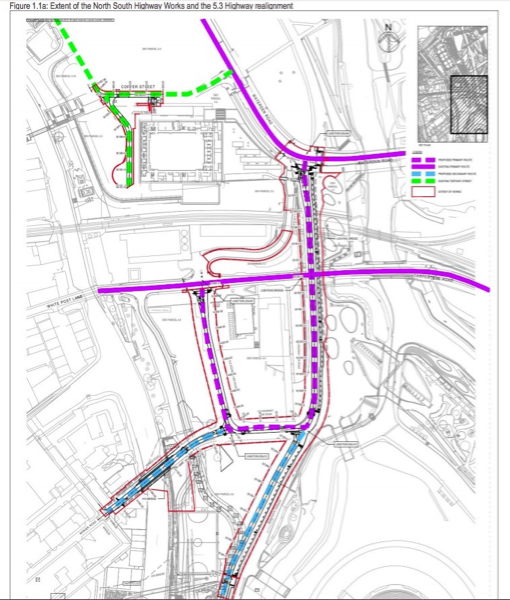 Barbers Road has been reconstructed slightly further south. Pudding Mill Lane DLR is highlighted in yellow, it remained open up until just before the Olympics began. South of it the future DLR station is under construction (in orange), along with viaducts the tracks will sit on, as part of crossrail works. Pudding Mill in 2015 with the New DLR station open. 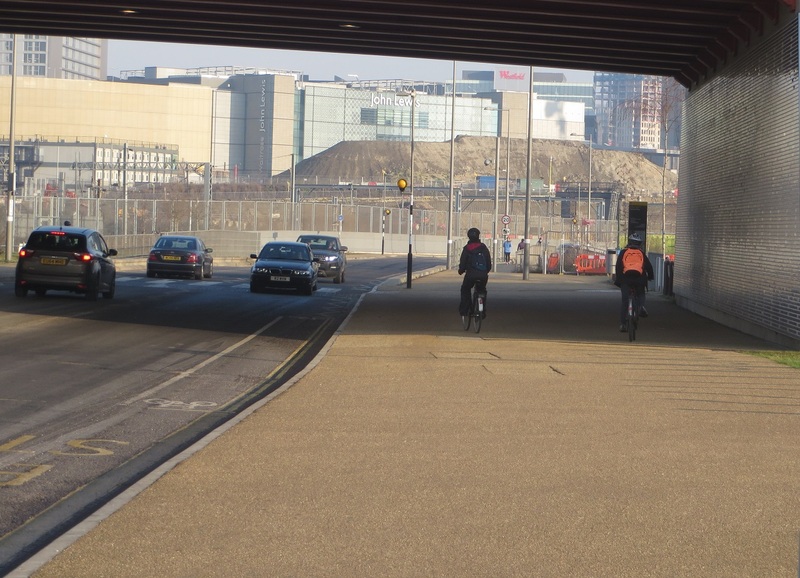 Marshgate Lane is now open to motor traffic as a through route into the park for the first time in many years with the former Pudding Mill Lane now a shared walk / cycle route under the Greenway. Pudding Mill in 2017. 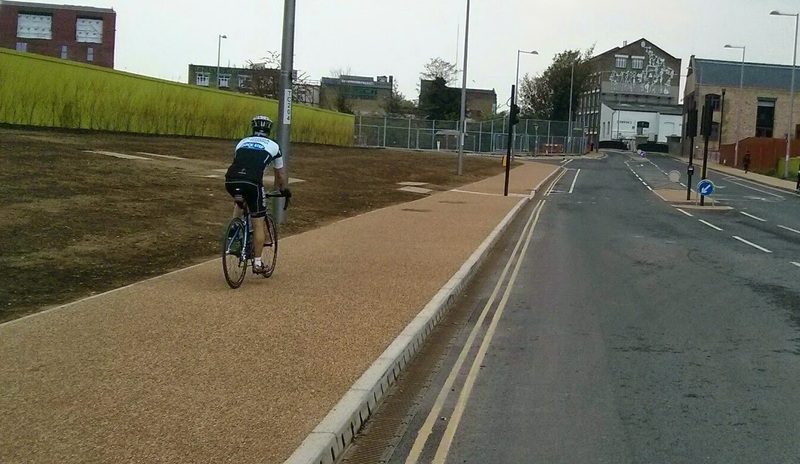 Marshgate Lane is open. Pudding Mill Lane is also back open but terminates at the new Pudding Mill Lane DLR station. 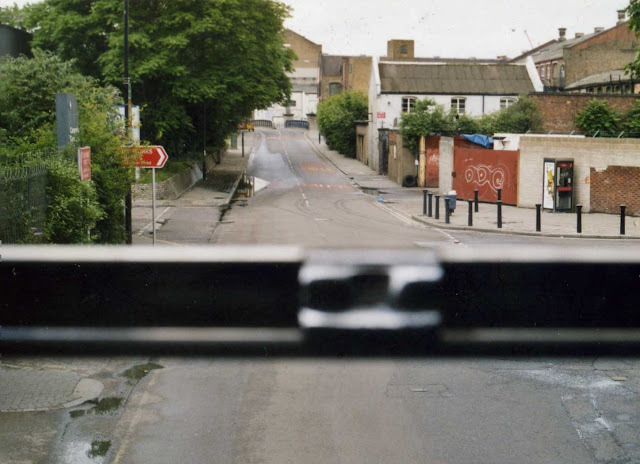 Barbers Road has been rebuilt south of its original position. 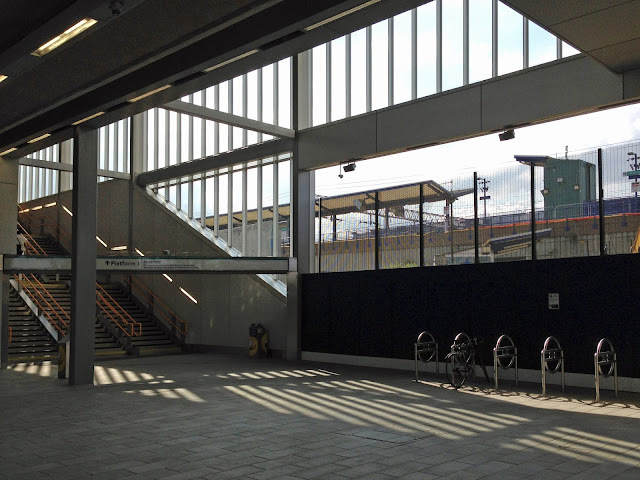 Where the former DLR station was is now the tunnel exits for crossrail. Barbers Road in 2008, as captured by the Google Streetview car, with the entrance to Pudding Mill Lane DLR on the right. 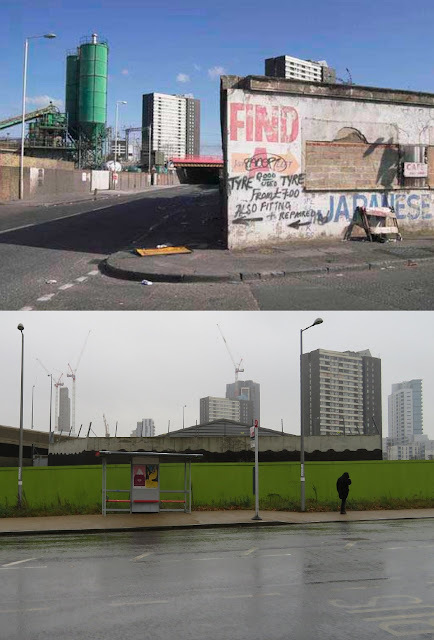 This is where the Southbound platform of Pudding Mill Lane DLR station now sits. 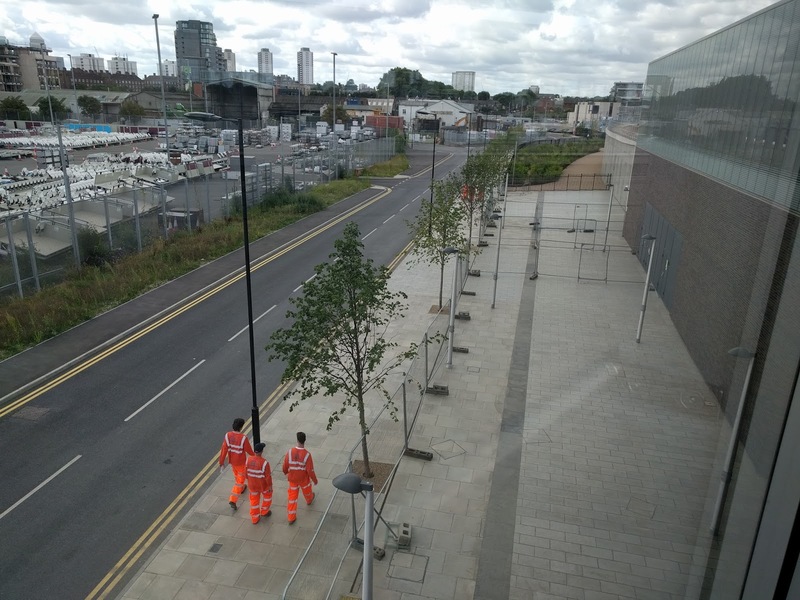 The completed Barbers Road, taken from the DLR station. 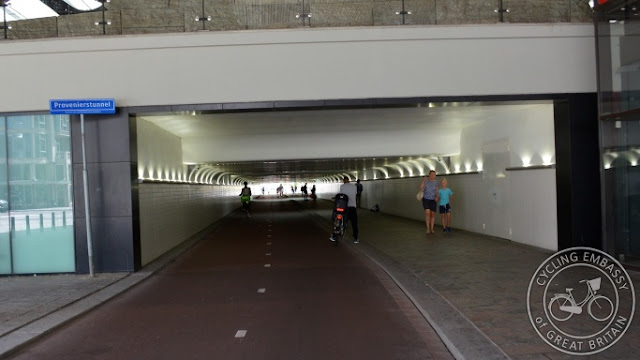 Clearly no space for protected cycle tracks here! Which is pretty inconvenient. A shame it could not have been relocated closer to the station and, with all the space available, more parking added. Once the crossrail tunnel exits were built then a new walking and cycling route was built under them and the other spans of the railways here. 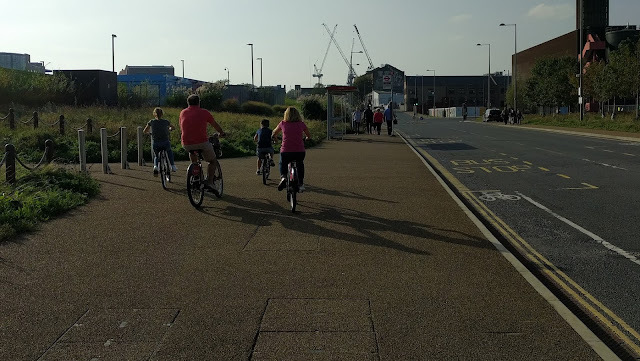 Another missed opportunity to create a safe and continuous cycle route that future generations who live in the area could use to get to the new schools being built. Another blank slate, another missed opportunity. But one day this will be Stratford Waterfront with residential buildings, V&A East, Sadler's Wells east and active and UAL's London College of Fashion, promising a waterfront of calm spaces, providing s a direct connection to the river where there will be shops, bars and restaurants alongside staff, student and public entrances to the buildings. 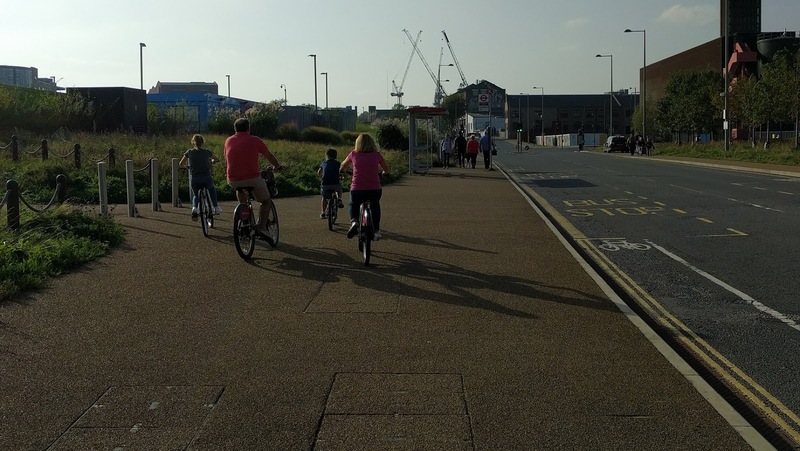 Which sounds nice, I just hope that a proper cycle route is also constructed on what will always be a very busy route to the swimming pool. Could something such as this be constructed? 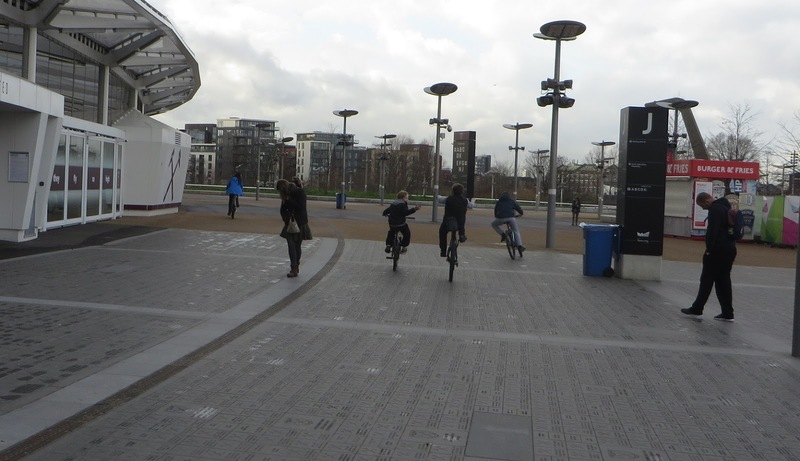 And there ends my tour of the Olympic Park in 2017. It has some fantastic features; the swimming pool is excellent and I use it often. 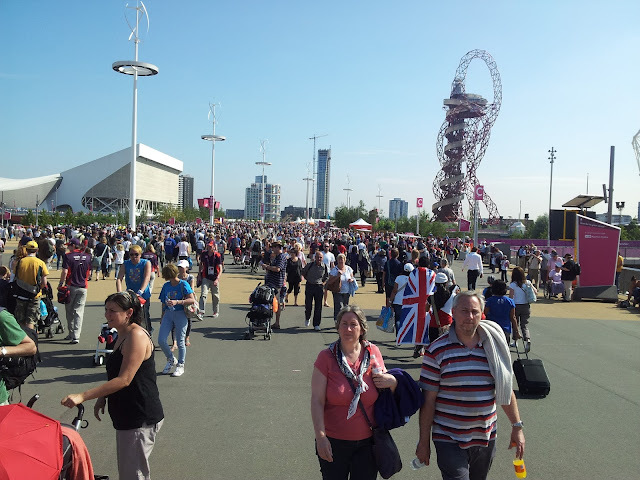 Copper Box is also a great venue and has allowed my daughter to spend time at sports clubs during the school holidays. The parklands areas of the park are excellent and a really nice place to relax. 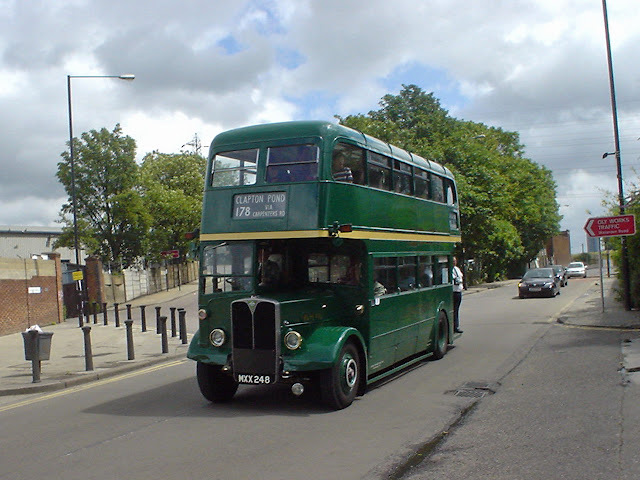 It is excellent to access as a driver as well, with plenty of roads and more to come. 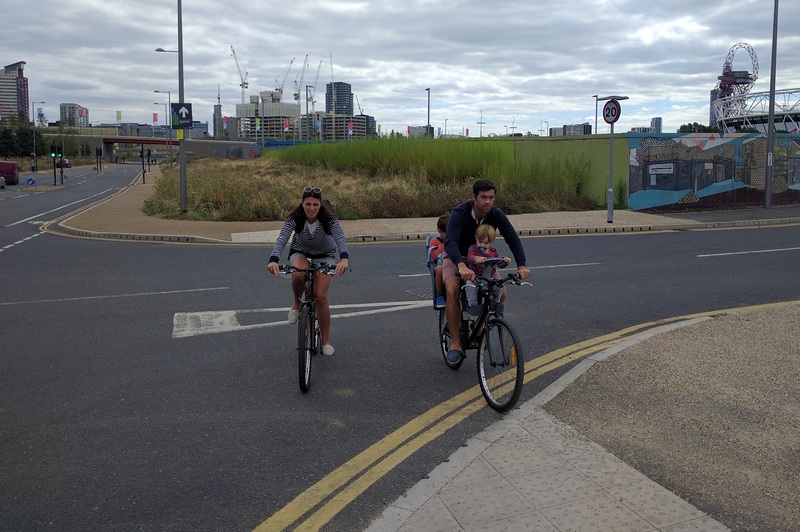 Unfortunately the same cannot be said for cycling on the parks roadways which is mostly unpleasant. However it is possible to fix this; Sweetwater has not yet been built. 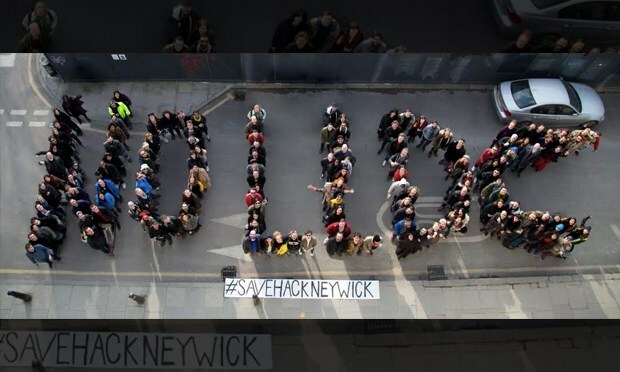 East Wick has not yet been built. 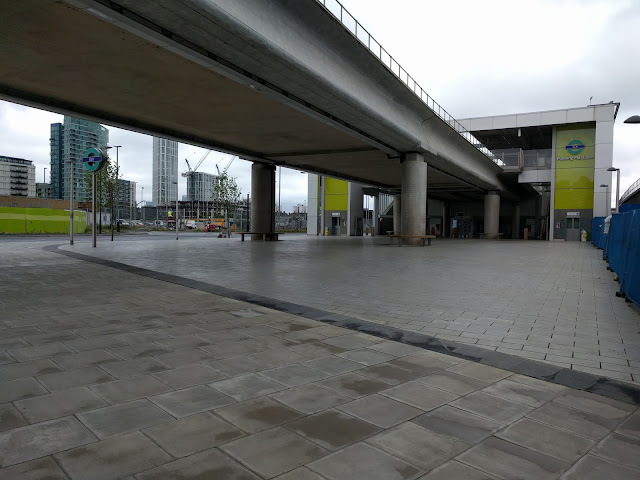 Stratford Waterfront has not yet been built. 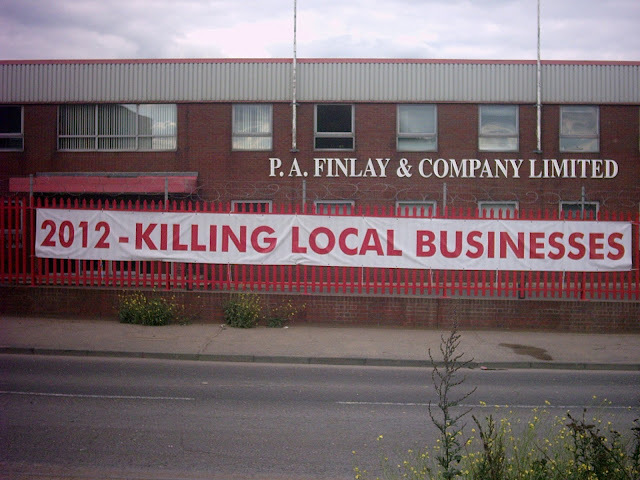 Pudding Mill has not yet been built. There is a real opportunity to create some fantastic cycle route in these new neighbourhoods over the coming years and, eventually, sort out some of the poor ones built in recent years, to create a truly liveable neighbourhood. 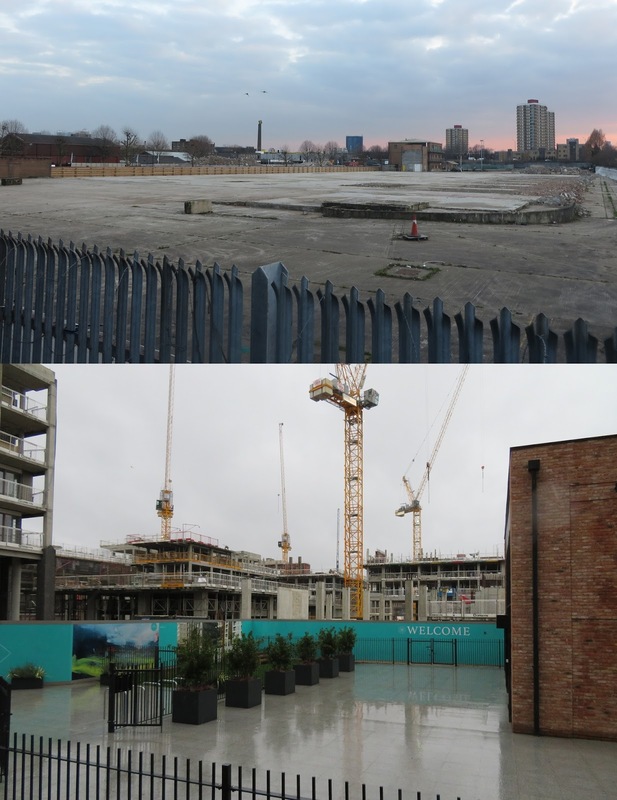 Sweetwater is the next stage of the park to be built, located in the borough of Tower Hamlets it will house 650 homes, a primary school, two nurseries, a health centre and a library. Sorry, I mean an idea store. During the games this area was where the worlds largest McDonald's was briefly located, along with the London 2012 Megastore. 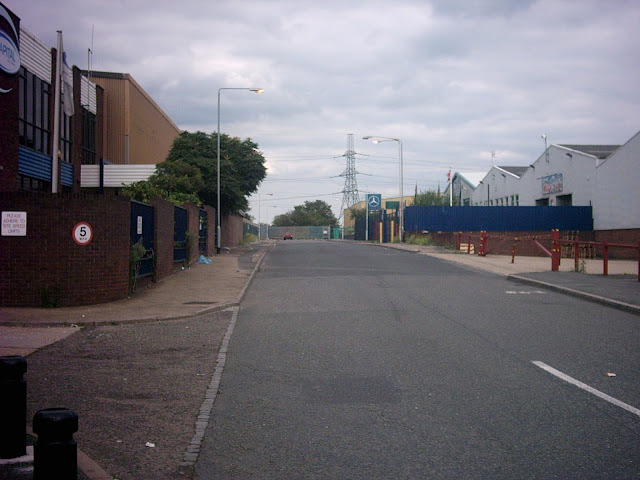 Prior to 2007 it housed the Bow Industrial Estate and Carpenters Business Park. 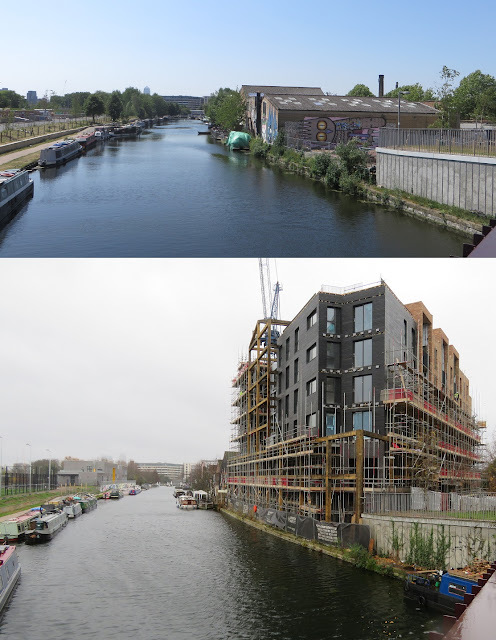 To the west of Sweetwater, on the other side of the River Lee Navigation, lies Fish Island, not officially part of the Olympic Park but undergoing a huge amount of building works right now and under the jurisdiction of London Legacy Development Corporation planning department. 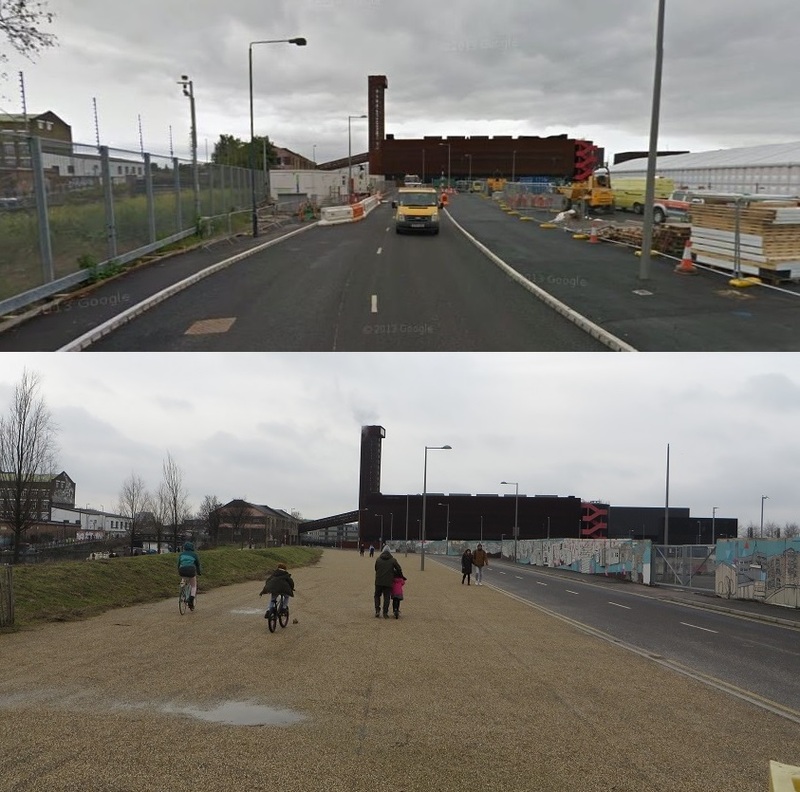 Crossing over the narrow Victorian bridge into the park and the road becomes Carpenter's Road, which used to be much narrower than it is today before Olympic Park construction began. Again, can you spot the cyclist on the footpath in the bottom left? Clearly no space to provide protected cycle infrastructure here! 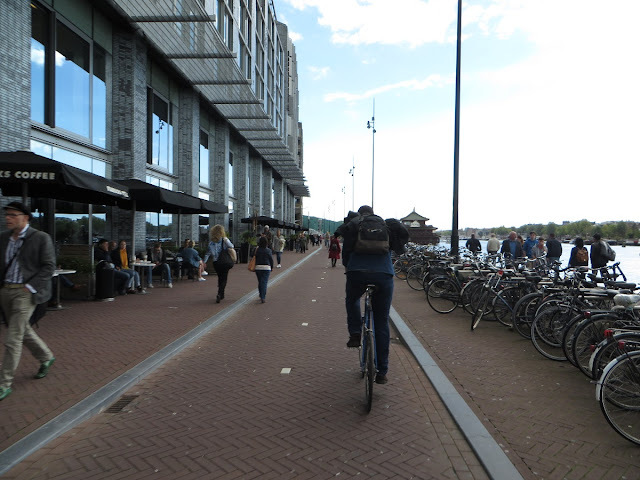 There are usually very few pedestrians along here so this isn't an issue at present, however once Sweetwater is built then residential properties and the library will be located along this road and so it'll become a busy pavement. 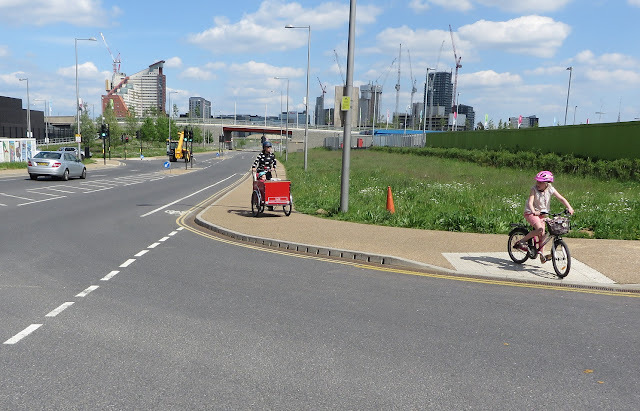 There is clearly enough room for cycle tracks either side or a bi-directional cycle track along here; if located north of the road then it would run between the road and the railway track, and with Clarnico Lane also due to be removed soon it would have no side road conflict, just as CS3 doesn't along the Embankment. However it would be on the wrong side of the road to all the properties and amenities, so ideally should be placed along the south side of the road instead. As construction has not started on Sweetwater yet and so there is still the time and space to build it, the bridge is also very wide so it can easily be accommodated. Do they seriously expect parents to cycle with their children to the library, nursery or primary school on Carpenters Road as it is, with those narrow cycle lanes? 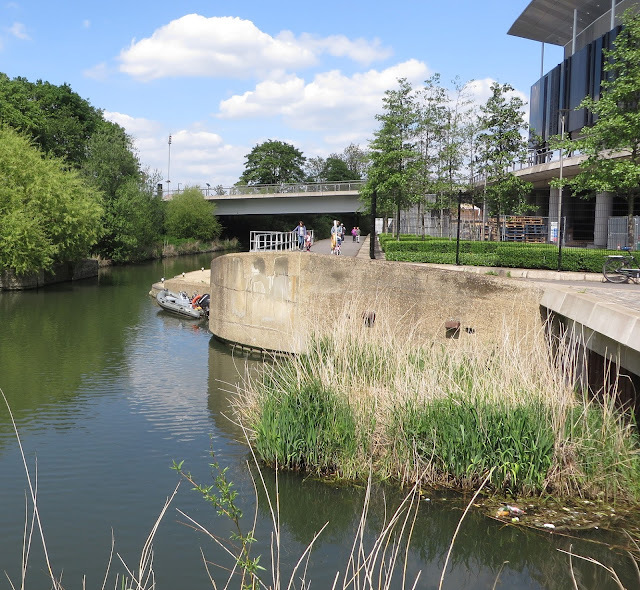 Once you pass under the White Post Lane bridge along the Lee Canal Towpath the new canal park appears. Just imagine how busy this road will be at 3.30pm in a few years when the full number of 400 pupils are based here, along with another 1000 around the corner in the secondary school! Before and after. Why paint narrow cycle lanes on such a narrow road with all this space available? A lot of the old warehouses remain on the South side of Fish Island, mostly housing artists studios but with some well known businesses, such as Trumans Brewery, Formans smoked salmon and the Morning Star newspaper all based here in newer buildings. At the end of Monier Road, the main road through the middle of Fish Island, a new apartment block, Carpenters Wharf, nears completion. 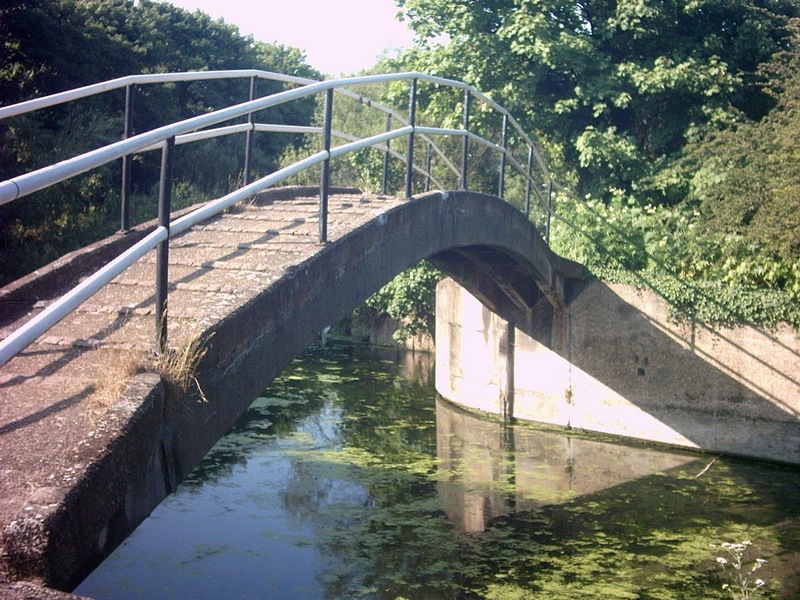 "The H14 all modes bridge is anticipated to have a speed limit of 20mph and has a narrow road width. 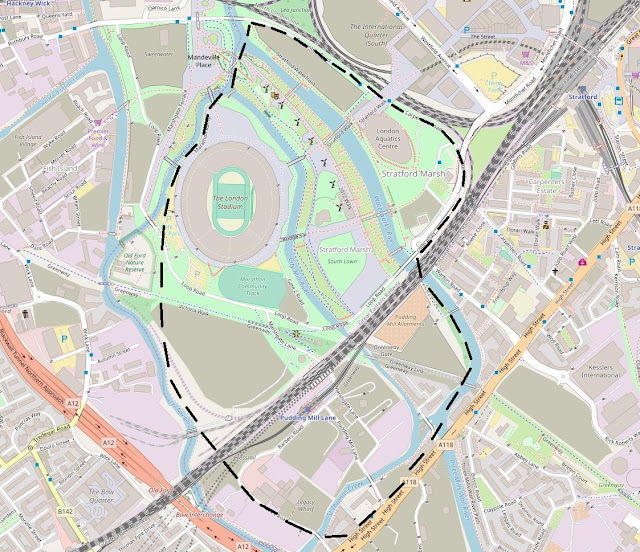 It is unlikely that there will be an issue of rat running, as this connection would not provide any journey time savings or represent an obvious short cut for anyone using the existing strategic road network. These bridges are part of the regeneration strategy for the area which is designed to rectify some of the long standing problems of isolation, caused by the large numbers of waterways and major trunk roads which have had a long term debilitating effect on the immediate local economy. 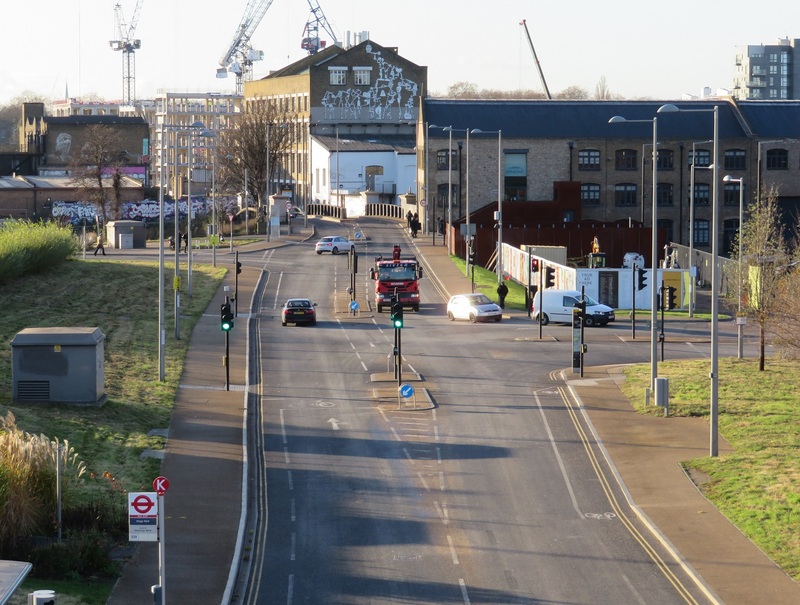 I am informed that the construction of these bridges will help ensure that the Hackney Wick and Fish Island communities will have access to the world class facilities of QEOP, including the new schools, thousands of new homes, healthcare centres and other amenities. This will be a significant economic and social benefit for local residents." Firstly, most roads in the Olympic Park are 20mph but speeding remains a real issue on many of its roads. Also you can tell Sadiq does not cycle and narrow main roads are terrible for cycling! The new road and bridge running from left to right at the bottom of the map. It'll connect directly to the Loop Road, which in turn connects directly to Waterden Road to the north and Stratford High Street to the south. 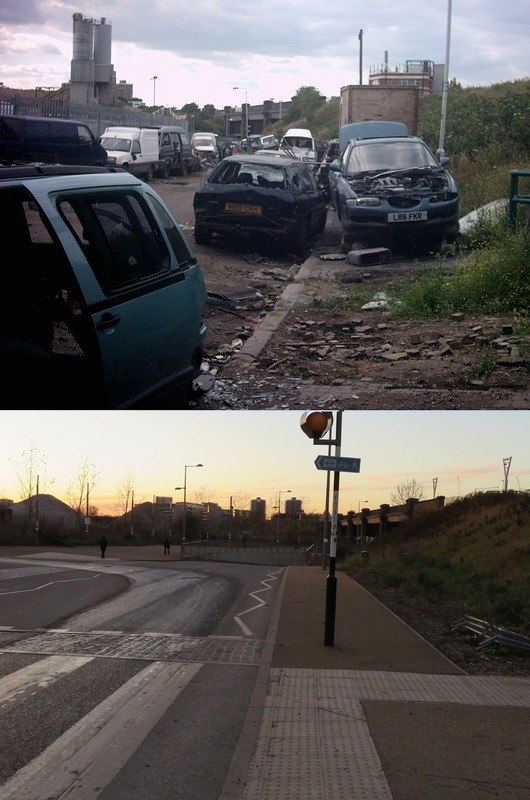 If the Mayor is serious about tackling air pollution then why on earth would he back the building of this road? 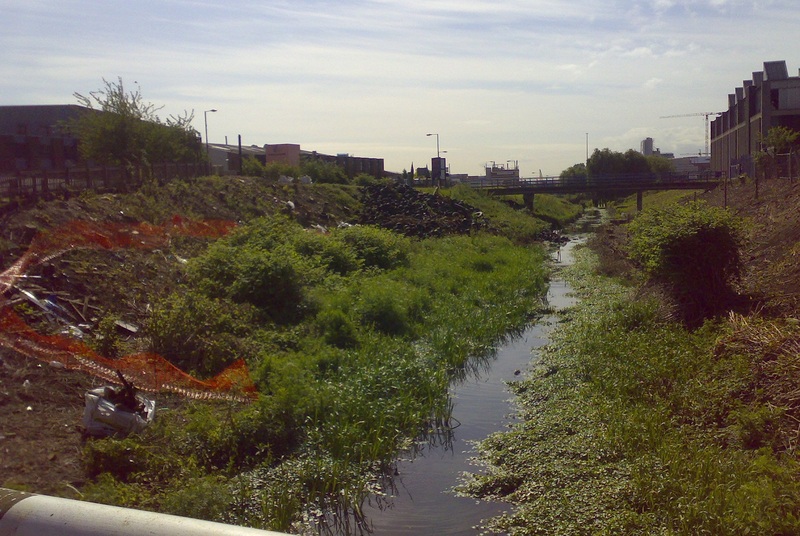 Fish Island is an area where everyone can access all roads by car but there is no through traffic. 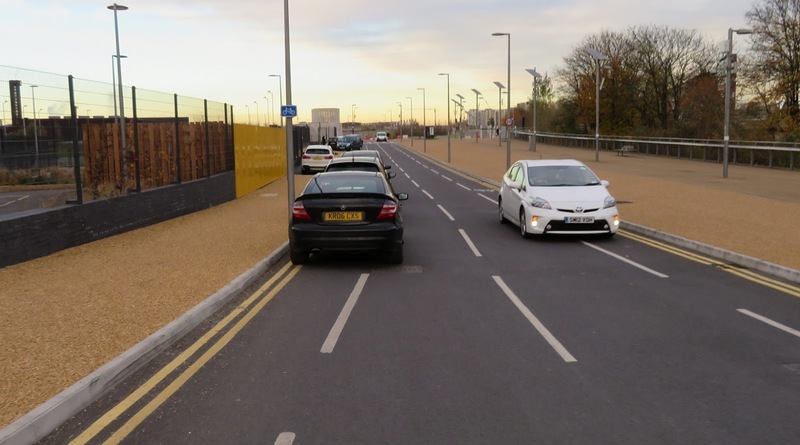 I find it astonishing that as locals councils such as Hackney and Waltham Forest meet opposition to try and filter residential roads we have a community that already has filtered roads and the plan is to undo that. 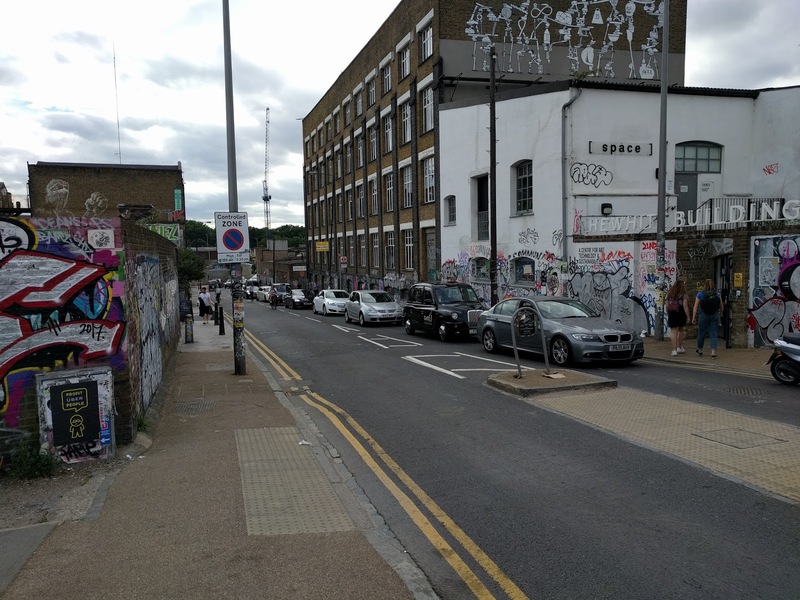 What Hackney Wick and the surrounding area needs is more pedestrian and friendly routes, not more cars. These are intersected by other routes creating a real network of cycle routes that are quick and essentially safe for anyone to use, no matter what their age. 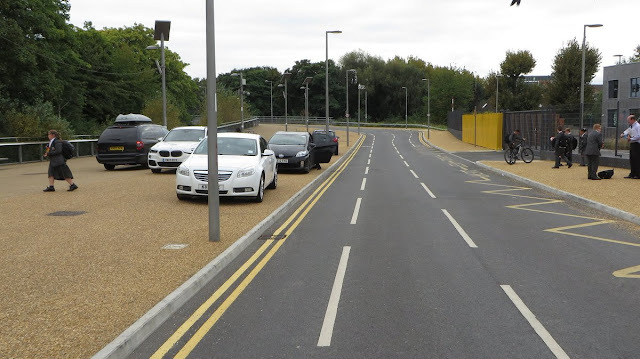 The residential roads are carefully arranged to ensure they are only used by motor traffic accessing those roads for a purpose, rat running is not possible and the roads are designed for low speed traffic. 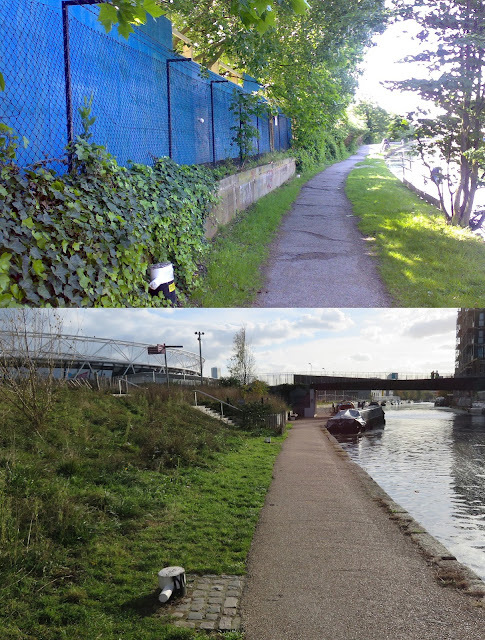 These are the kind of implementations Sadiq Khan should be encouraging for Fish Island and Sweetwater if he is serious about cleaner air in London, not ripping out popular walking and cycling routes to create yet even more roads for rat running motor traffic in the Olympic Park. 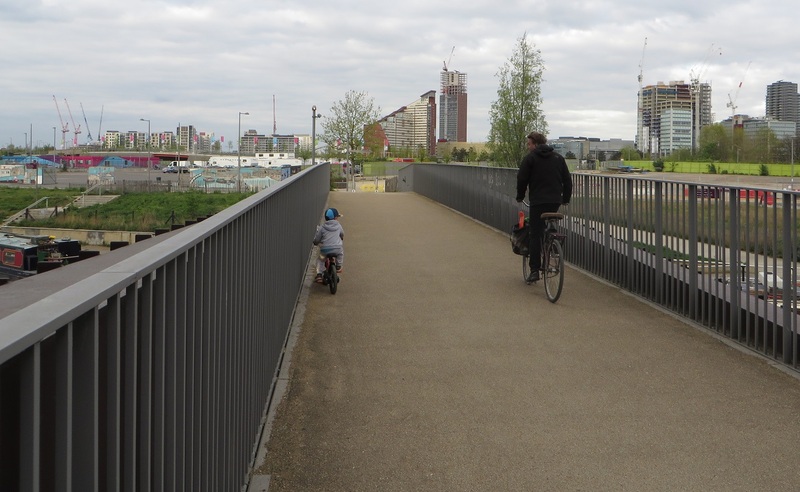 Future residents of Fish Island and Sweetwater, if they have quiet roads and safe routes to cycle on, surely wouldn't ask for a new road bridge once they experience how pleasant it is to live in such an area. 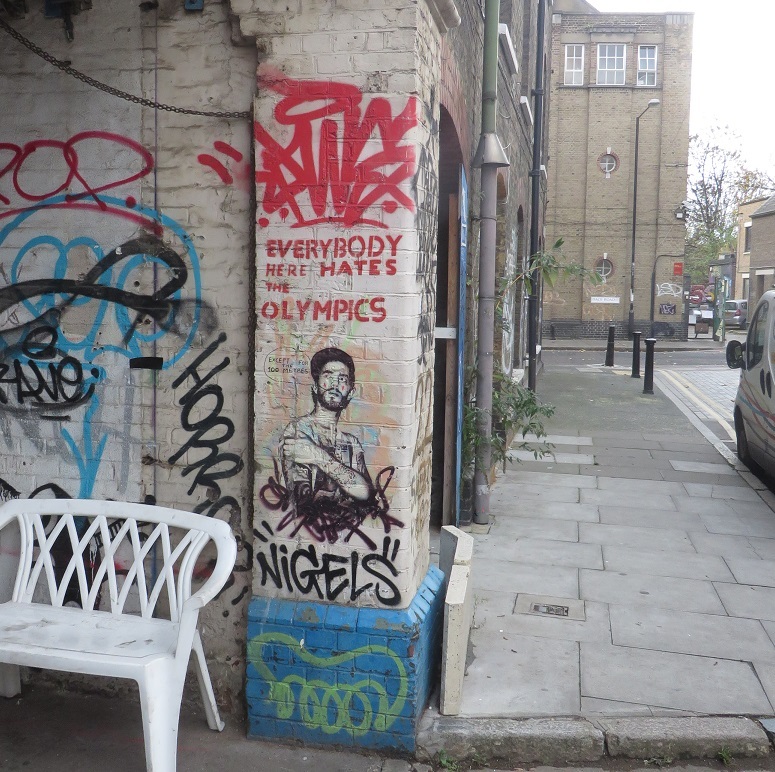 John Biggs, the Mayor of Tower Hamlets does not want his bridge. 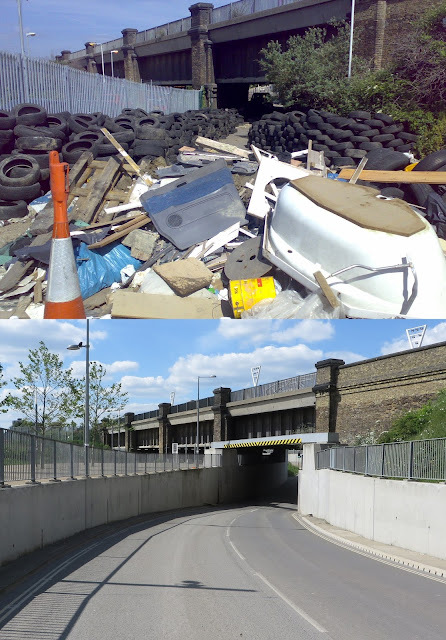 Rushanara Ali, the local MP, does not want this bridge. Sadiq Khan has the power to tell the LLDC to halt the construction of this bridge and he should do this to save Hackney Wick and Fish Island from more motor vehicles, more pollution and a worse quality of life.